The game play mechanics are identical to the Case Zero, which is good because it showed a great improvement in zombie killing abilities from the first. Though one simple feature that could’ve been implemented to improve the experience would have been the option to place map markers and utilize the navigation arrow to point Chuck in the right direction. Though, because this arrow only worked for mission objectives, it felt very limited. 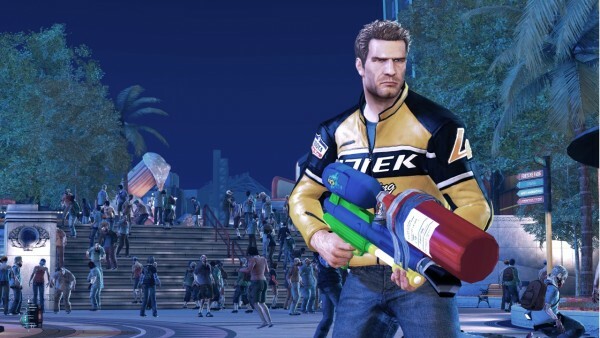 What Dead Rising 2 brings that wasn’t in Case Zero is tons more weapon crafting combinations within a much larger undead sandbox. With all of the zombies that can be onscreen at once, it can really put a strain on the system’s hardware. When played on the console, an obvious drop in frame rate is present when the player is doing too much damage on a large crowd, as well as if the player is moving very quickly, for example when driving around on a motorcycle. In addition, if a player travels too fast across the outdoor plaza sometimes objects will appear invisible until Chuck crashes his bike into a planter and flies into the clutches of some hungry zeds. While these obvious graphical glitches take away from the immersion, the settings do well to bring the player right back. The casino strip integrated with a mall feels a lot like walking down a cleaner, brighter, happier Las Vegas, which is ironic as the sidewalks, planters and fountains are crawling with the gloomy walking dead. Along with the scenery, the game also sounds as good as it looks. 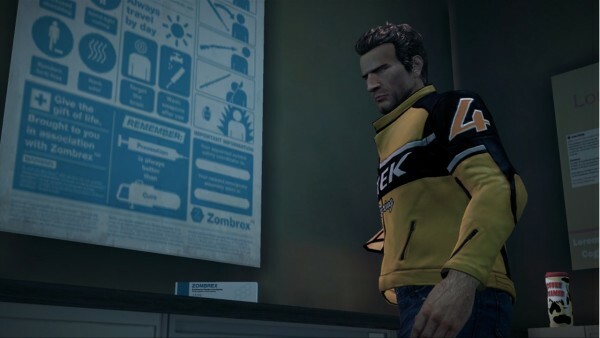 The almost ever-persistent throat moans from the zombies would normally add a psychologically fearful element to the table, however in Dead Rising 2 the groans are mostly overlapped by the upbeat ‘muzak’ played in the casinos and shopping areas. This makes for some comical zombie combat as you chop the walking corpses in half, get drenched in their blood, all to a tune you would hear in an elevator or a dental office. The music does take more of a serious tone whenever the story or situation calls for it. With every encounter of a psychopath the music changes tracks that makes the game feel much more like an action movie while you battle some of the craziest crazies in games. The psychopaths from the first Dead Rising have nothing on the crazy bloodthirsty deranged lunatics that are scattered all over Fortune City. Not only do they act crazier and die in more horrific ways, they are also more difficult to take down. 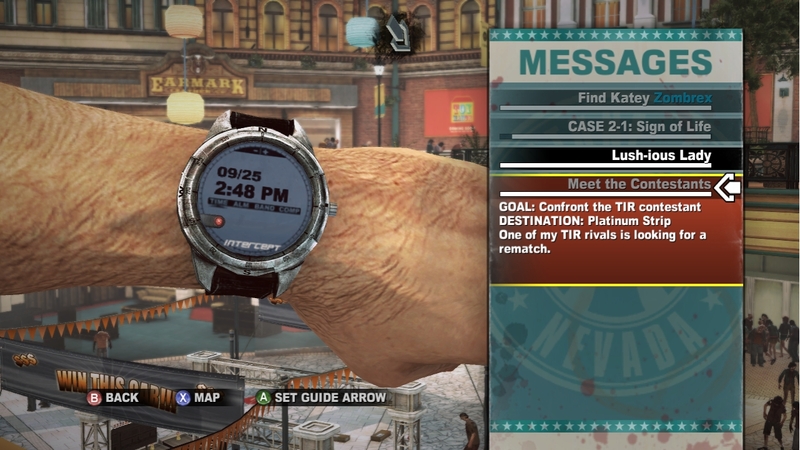 Most of the missions with psychopaths have clues in the attached messages that let players know what they are getting into. If players use these messages to load up their inventory with weapons and went through the effort of blending a few food items together for some performance boosts, ensure they will come out on top. However if unprepared, they will be in for a short fight resulting in having to start over from their last save. Like the first game, Dead Rising 2 has no save checkpoints nor ability to save at any location. The player must find the nearest bathroom to save their progress and insure their temporary safety. Bathrooms are plentiful in Fortune City and are clearly marked on the map, yet with the nature of most games having quicksave and autosave features, players need to change their style and would be wise to save after any progress is made to avoid frustration. This mechanic adds a layer of consequence to players who don’t save often, and at the realization of a large chunk of progress being made between saves adds a layer of fear to make it to a bathroom with out dying. While it can be easy to die, specifically during the crazier psychopath battles, all players need to do is be aware of their surroundings, and use their map. If running low on health all a person has to do is take Chuck to the nearest food or drinking establishment. If players take the time to find a blender they can also mix together food and drink items that result in increased in health replacement and added performance boosts, like ‘painkiller’ which significantly reduces the amount of damage Chuck takes per hit. For everything the player does they are rewarded with Prestige Points that act like experience to raise Chucks level increasing the inventory slots, health blocks, learning new combat moves, and even given weapon combo cards that increase the Points received for using that combo. Players will earn the most points from progressing through the main story and by rescuing survivors. The survivors seem to have had an upgrade from the first Dead Rising and are less likely to get killed by zombies and more likely to help Chuck out. Yet since friendly fire is present, it isn’t always a good idea to give ranged weapons to them because they don’t have the greatest of aim. An issue with rescuing survivors is making sure that they are all with Chuck when a loading zone is encountered. While the game does indicate they will travel with the player by displaying a green door next to their name, when multiple people are following it can be difficult to keep track. If someone is left behind, their health will immediately begin to drop. So, to save them, the player must go back where they came from, triggering the same lengthy loading screen. Fortune City has these loading zones at the entrance and exit of every main building and the start and end of every cinematic, which is very jarring and leaves the game without a fluid experience. While the game does have a countdown timer until “the military arrives” of 72 in game hours, which translates to about a 6 hours in real world time, the game will require several additional play throughs to unlock all achievements, rescue all survivors and defeat all of the psychopaths. The good news about these an additional play through is that the player can save all of their level, unlocks, and money from their previous play into the new one. This gives players an extra edge when killing zombies the second and third time around. Also included, the developers added a cooperative and competitive multiplayer component. Co-op is only available online and can be difficult to find a random player to join up with if your friends aren’t online. Only the host of the co-op game will be able to save any progress within the campaign, but other stats will save for both players. It can be a lot of fun to partner up with a friend, killing zombies while rescuing survivors. When one player’s health is depleted, your partner will have a limited amount of time to revive the downed ally by giving them a food or drink item. “This Is Reality” is the online competitive aspect of the game where contestants compete head to head in the violent pay-per-view style arena games. The mode involves several randomly selected mini games and the player with the highest score at the end of the round, wins that round. The person with the highest accumulative score at the end of the fourth round, wins the game. The mini games range from juicing zombies with a modified Zamboni, to using a moose antler helmet to fling the undead onto a nearby scale. While these games are fun, and the money earned is compounded to your character, they aren’t very deep and force the player sit through the same intro video anytime the game is searching for players. 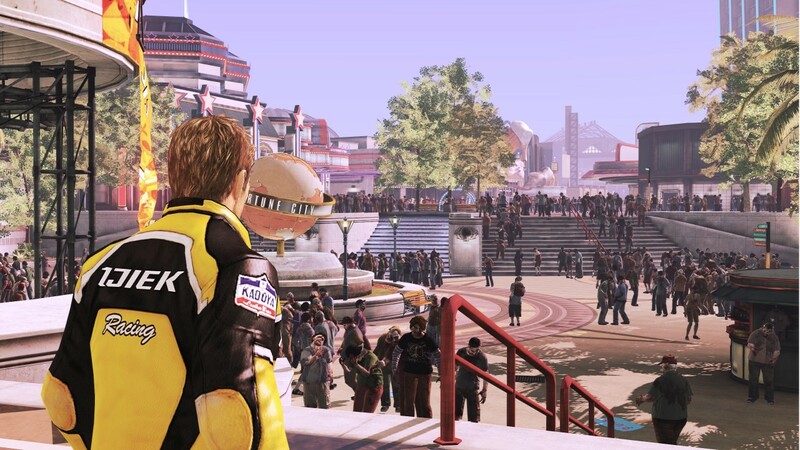 Overall Dead Rising 2 is a lot of fun. Killing zombies has never been this creative. This game is far from perfect, but is well worth at least one play through. Great Review!!! I’m really excited to play the game!